Great Investment Opportunity. 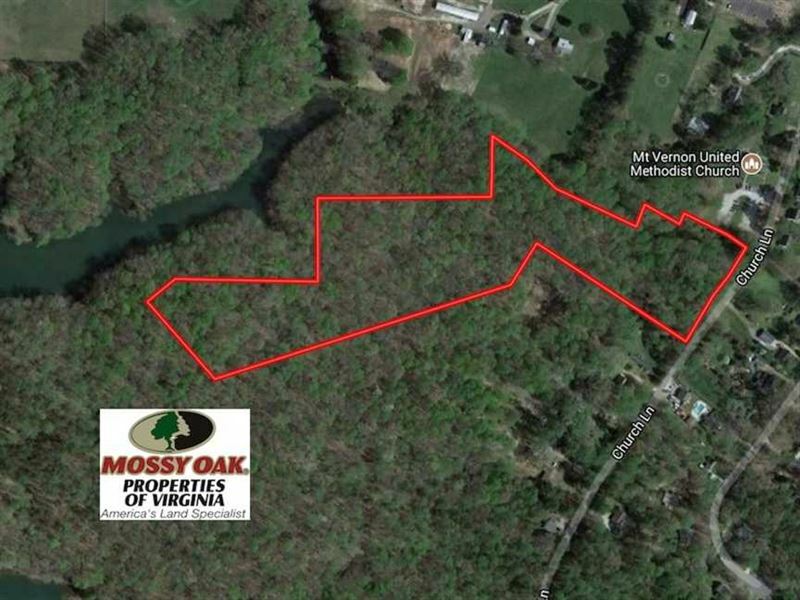 13 Acres of Prime Land in Toano Va.
13.2 acres in the unincorporated town of Toano VA. Located in the heart of James City County. This property has endless possibilities. Located close to the Historic Triangle, this is a highly desirable area. The property is centrally located between Williamsburg and Richmond, just minutes off Rt. 60. The parcel butts up to the Little Creek Reservoir and mature hardwoods cover the rolling acres. Come build your home or business on a 12 + acre tract - within the city limits. Commercial and zoning possibilities are per James City County. Residential homes and neighborhoods surround the property, while schools and churches are close by. Water is available across the street and the soil survey indicates suitable conditions for a conventional septic system. James City County is one of the faster growing communities on the Peninsula with Williamsburg, as it's county seat. Located near the Jamestown ferry, access to the Peninsula is easily accessible. This desirable area retains its southern charm, while providing access to big-city resources. Local tourism and specialized trade employers have created many economic opportunities. The county boasts desirable educational options and prominent health-care choices. It has a mild climate, which provides a wealth of year-round outdoor and recreational activities. Located between the James and York Rivers, fishing is a hugely popular past time. The Little Creek Reservoir is a 900+ acre park that has amazing fishing. Bass, crappie, blue gill, yellow perch and sunfish are common. A record 32 lb. striped bass was caught in 2015. In addition, the park has hiking and biking trails, water-sport rental options, launch spots, playgrounds, concessions, and picnic areas. If you prefer the leisurely past time, try one of the areas local wineries, restaurants or quaint shops. Whatever your preference, come explore all James City County has to offer. Stake your claim on one of VA's fastest growing areas on the Eastern Sea Board. For more information on this and other Residential and Recreational Land For Sale in James City County VA, contact at , by email at Email listed above, or visit mopva/. com.